Grinch Day has always been a classroom favorite of mine. I decided to try out a NEW (to me) activity this year. After watching my favorite non-scary SHORT version of the Grinch, students made Grinch Dust to keep the Grinch from stealing their presents on Christmas Eve. Keep reading for some FREE printables you can use in your own Grinch Day festivities! All you’ll need for this magical recipe is sugar, some yellow and blue food coloring, and some green glitter. Before making the recipe, I had students predict what would happen when we mixed yellow and blue food coloring together. After several correct guesses, I let students spoon 2 spoonfuls of sugar in a ziploc bag, add a few drops of yellow and blue food coloring, then add a scoop of green glitter so the Grinch can see it shining in the moonlight! Then, we sealed the bag and students rubbed everything together to turn the sugar green–the Grinch’s FAVORITE color! Students will get to take their Grinch Dust home and follow the directions on the bag! While I was helping each student make their Grinch Dust, the other students worked on this fun page. 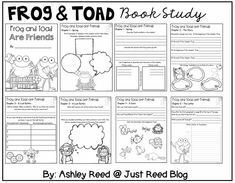 You can grab this FREEBIE by clicking HERE. Students got to take home their picture, their Grinch Dust, and a green candy cane that was licked by the Grinch himself! You can grab FREE printables of the Grinch Dust poem and the candy cane poem by clicking HERE. Need more ideas? 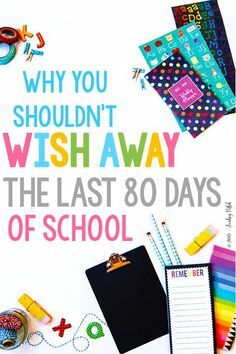 You can read about previous Grinch Days in my classroom HERE! (Be sure to grab some FREEBIES while you’re there!) Be sure to pin this post so you can come back to it next year! It’s difficult for my students to really connect with the Thanksgiving story, so today we made Thanksgiving Story Bracelets and each bead represented a part of the Thanksgiving story. After making our bracelets, we made mini books about the Thanksgiving story. The bracelets were not only helpful for students retelling the story, but they also provided excellent fine motor practice! You probably already have most (if not all) of the materials needed for this low prep project. I always purchase a multi-box of pony beads at the beginning of each school year. It has all of the colors you’ll need for the bracelets. You may use twine, yarn, or elastic thread for your bracelets, but I find that pipe cleaners are the easiest for young students to grasp and slide beads down. You can find this pack of beads at Walmart by clicking HERE. We read the mini booklet and students follow along as they add their beads. We don’t take time to color at that time because students color at such different rates and I want those who wish to take their time and color carefully to have ample time to do so! After making the bracelets, I set out baskets of crayons and let students color and assemble their booklets. These make a great story for parents to read with their students so they have an understanding of the bracelet their little one brings home. Do you think your students would enjoy this low-prep, fun project for Thanksgiving? Grab your FREE Thanksgiving Story Bracelet packet by clicking the image below! Be sure to PIN this post on your November or Thanksgiving board. A few of my pre-kinders are ready for CVC word work. They know their letter sounds, and they are beginning to blend sounds to make words. I wanted to create a low-prep, fun center that would engage them. I was inspired to create this FREE CVC Word Work center for Spring after purchasing a fun little manipulative for our writing center. Have you heard of Spelly Straws? (affiliate link) Spelly straws are BPA-free plastic straw pieces that you can mix and match to spell words. Now, my students won’t be drinking from these straws….obviously! 😉 They’ll simply be spelling their CVC words with them! The fact that these are straws and it’s getting warm outside immediately brought cool, refreshing lemonade to mind! So I made a lemonade-inspired word work center to help my students practice creating and reading CVC words. Lemonade has three ingredients (lemons, sugar, and water) just like a CVC word has three parts–a beginning, middle, and ending sound. I copied the beginning consonants on pink, the vowels on yellow, and the ending consonants on green. And of course I used my favorite Astrobrights paper! Next, cut the cards apart and shuffle them. Place them upside down. Students draw the top card from each stack and flip them over. Blend the sounds together. Do they make a SWEET word (a real word) or a SOUR word (a nonsense word)? Students record their word in the correct column on the included recording page. For added fun, I’m going to have students spell the word using the spelly straws as well. Get this lemonade-inspired CVC Word Work center for FREE! Spelly straws are optional when using this packet, but if you decide to add that fun twist to your word work center, you can purchase them here! Pin this image with your Word Work Ideas. What are Fine Motor Skills and How Do They Develop? Fine motor skills involve the use of the smaller muscles of the hands, fingers, and forearms in various activities like using pencils, cutting with scissors, building with lego or duplo blocks, and buttoning a shirt. Babies as young as 8 weeks of age begin demonstrating fine motor skills as they grasp and bat objects. At around 10 months of age, babies can grasp objects between their thumb and index finger. One and two year olds become even more dextrous–often manipulating objects, building and stacking. And in the preschool years, children learn to zip, tie, button, cut, and write. Research actually shows that fine motor skills are a huge predictor of academic success. Grissmer, Grimm, Ayer, Murrah, and Steele (2010), found early fine motor skills in kindergarten were a predictor for reading and math achievement during elementary school. Children with more pronounced motor skills at a young age are usually better able to interact with their environments and experience new things, which in turn leads to academic gains. From a practical standpoint, children with strong fine motor skills are more likely to be successful in school-related tasks like writing, coloring, and cutting. And they’re more likely to be confident in their ability to be successful. How can you tell if your students are on track? I’ve compiled a helpful list of developmental milestones that I’d love to share with you. You’ll be able to download a printable copy of these developmental milestones at the end of this post. I like to keep them in my lesson plan notebook as a handy reference tool! Now that you understand what fine motor skills are and why they’re important, I want to share 5 practical fine motor activities that are perfect for preschoolers and kindergartners. 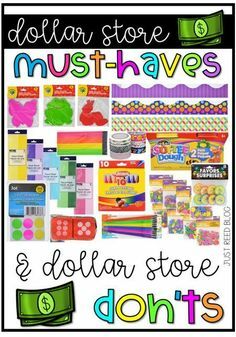 You probably already have many of these supplies in your classroom. And if not, I’ve included some Amazon (affiliate) links to guide you in stocking your preschool or kindergarten classroom for fine motor fun. Basic playdough is perfect for younger children or those with weaker hands. I’ve found that homemade play-doh tends be much softer and more pliable. Add in essential oils or food coloring to dress up your basic playdough’s color and scent. You can grab my FAVORITE homemade play-doh recipe by clicking the image below. Provide children with a variety of tools for rolling, cutting, shaping, and molding the playdough. In fact, playdough scissors are the perfect first pair of scissors for young children to practice the motion of cutting before they move on to “real” scissors and paper. I love to provide Alphabet playdough stampers as well to build in some literacy fun. Or, encourage students to make the letters of the alphabet using the playdough. Laminate some alphabet mats for durability, and students can use them again and again to practice forming each letter. For children who are bit more developed in their fine motor skills, consider using modeling clay instead because it’s more difficult to manipulate and will build greater strength. Here are some of my favorite playdough tools for the preschool classroom. These extruder tools require children to push and squeeze the play-doh through a series of shaped tubes. These are great for developing hand strength, plus they’re fun! My students LOVE using these cutters. There’s just something about slicing and dicing that motivates little ones! These Melissa and Doug toolkits combine all of my favorite Play-doh tools in one convenient package. I especially love the scissors. They’re perfect for developing cutting skills in preschoolers. Help children develop forearm strength as they have fun making patterns in dough using these wooden rolling pins. Laminate these FREE task cards and add them to your playdough kit for students to be inspired as they work. They won’t even realize they’re developing hand and finger strength that they’ll use to cut, write, and draw down the road! They’ll just think they’re playing! 😉 Click the picture to download the FREE cards. Did you know that plain old plastic drinking straws could be used for a slew of fine motor activities? And there are so many colorful and fun straws out there now. I love these straws in particular. After all, who doesn’t love a rainbow of colors? 🙂 One of my favorite fine motor straw activities involves pasta–another favorite of mine! Give students uncooked ziti noodles and full length plastic straws. Have them slide the ziti noodles onto the straws. This is a great way for preschoolers to practice hand-eye coordination and improve their dexterity. Another favorite is the old classic straw necklace. Cut the straws into 1-2 inch lengths and provide a colorful array of straw pieces. Give students yarn with the end taped so the straws can be threaded onto the yarn. Have students design a colorful straw necklace. 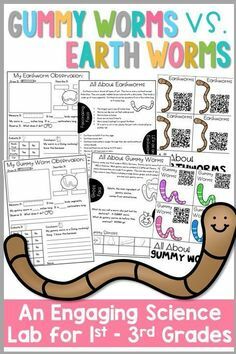 Students will especially love wearing these throughout the day after they create them. For sturdier lacing pieces that you can reuse, invest in some lacing yarn. Finally, straws make for fun cutting practice. Give students a straw and instruct them to cut it into a certain number of pieces. To add some math standards, have students arrange their straw pieces in order from shortest to longest. Or for added challenge, you can ask older students to try to cut the pieces the same size. That will require them to estimate and measure. Fine motor math at its finest! Then, add all the cut straw pieces to your sensory bin for a fun filler item. One of the best tools for building hand strength is a hole punch. The constant squeezing motion of using a hole puncher is like weigh-lifting for little hands! You can use a traditional hole puncher, or you can purchase decorative punchers that are typically used for scrapbooking. Preschoolers LOVE these decorative punches. Challenge them to make a pattern using the punches. Or bring out certain punches seasonally so they always have something new to look forward to and the novelty won’t wear off! I also print seasonal punch cards on Astrobrights paper (not the cardstock–that would be too tough to punch!) and let students punch them. Let me just tell you that these kiddos LOVE using a hole punch! Try it out. You’ll be amazed! Duplo blocks, or jumbo building bricks, are the greatest invention for preschoolers. Some littles are able to manipulate standard Legos, but many of them just can’t grip such tiny blocks. Enter Duplo blocks! These jumbo bricks are sized just right for little hands. You can include task cards to give students ideas of what to build. Or let students use their imagination and create whatever their heart desires. Add additional props like little animals or people, and you’ll find that students really use their imagination to build habitats, houses, cars, and more with these amazing bricks. My pre-k babies love using these Building Brick Alphabet Cards to build the letters of the alphabet using Duplo blocks. You can find the cards here. Finally, one more fine motor favorite for preschoolers is using tweezers to pick up colorful pom poms. I love these tweezers from Learning Resouces in particular. They’re the perfect size for little hands to pick up pom poms. The activities pictured above are from my Fine Motor Fun packets. Students have a bowl full of various colored rainbow pom poms and then use tweezers to pick them up and transfer them. Build in math by having students sort pom poms by color, count the pom poms, or arrange them to make a pattern. You can find pom poms in a range of colors and sizes. There are even glittery pom poms! #bestillmyheart <3 You can never have too many pom poms in a preschool classroom because they can be used for counting activities, crafts, manipulatives, and more. So invest in some jumbo tweezers and up your pom pom game! 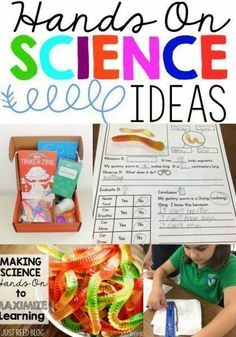 Looking for a fine motor toolkit you can pull from month after month for predictable yet engaging seasonal fine motor activities? Check out this year-long bundle that’s 50% off! 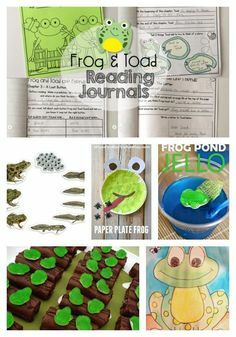 I hope these fine motor activities and ideas inspired you. You can grab your FREE Fine Motor Milestones Checklist by signing up below. My pre-kinders are so excited to celebrate Dr. Seuss’s birthday and Read Across America week this coming week. My all-time favorite Dr. Seuss book is Oh the Places You’ll Go! If you need to add to your Dr. Seuss collection, check out these books. We have dress up days scheduled all week, and I’ve come up with 11 different learning activities/stations that will engage them and help them practice important counting and reading skills. Check out what we’ll be doing this week! Make an AB pattern hat for the cat using red and white strips of paper. Word Family Beginning Sounds on the Cat’s Hat- includes 8 different word families. 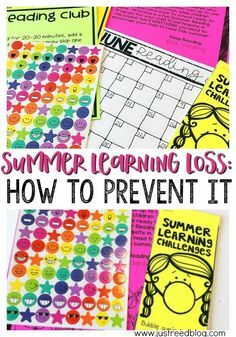 Laminate and use a dry erase marker. 4. Rhyming Word Clip Cards- For a fun twist, paint your clothespins with red and white stripes like the cat’s hat. 6. Make a New Hat for the Cat- Use colored strips to design an AB, ABC, ABB, or AAB patterned hat for the cat. 9. Dry the Fox’s Socks- hang the socks on the laundry line in ABC order. 10. How many fish in a dish? Identify the numeral and count out that many goldfish to place in the dish. When finished, eat the goldfish! Grab this fun packet of goodies by clicking HERE! Be sure to pin the image below so you can find it again. I’d love for you to leave a comment and let me know what your class typically does for Read Across America Week and what your favorite Dr. Seuss book is! 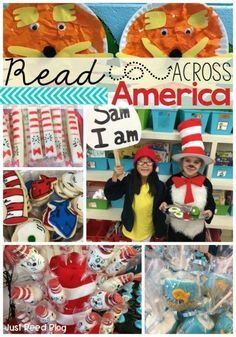 And, for even more fun Read Across America ideas, check out this blog post.